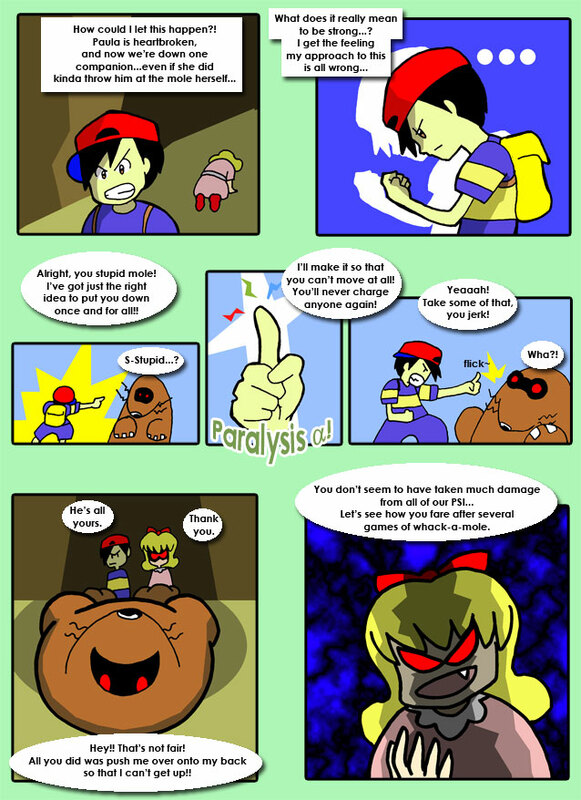 As the end of the battle comes, Ness tries to figure out the next step in their adventure. However, an unexpected call may lead to something entirely...well, unexpected. An unexpected call leads to an unexpected return trip to Fourside. How unexpected! Mr. Spoon is a very creepy and disturbing individual.